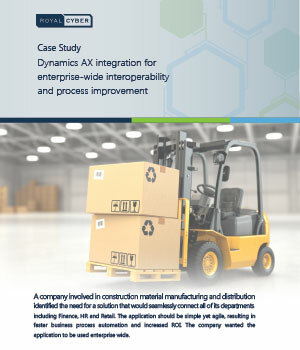 A leading manufacturing and distribution company wanted to seamlessly connect all its departments’ information needs. The solution should be able to tackle integration issues and manual data consolidation, and also provide visibility across channels. Royal Cyber’s ERP implementation using Dynamics AX ushered in user productivity and agility across the company’s many departments.